AND HE SHALL REIGN was a small group of Psalm paintings that were created to be licensed by Christ Community Church in Kansas City. This art was made for use in personal worship and liturgy alongside several Psalms in Christ Community's annual Christmas Eve booklet. Detail and process images of the work were also used in the context of worship (slides, worship guide) and in videos on Christmas eve. See a video of the booklet below and images of the paintings. For questions about this project or more information, please contact Kelly. The original paintings are for sale. Please contact Kelly for more information if you are interested in purchasing a work. 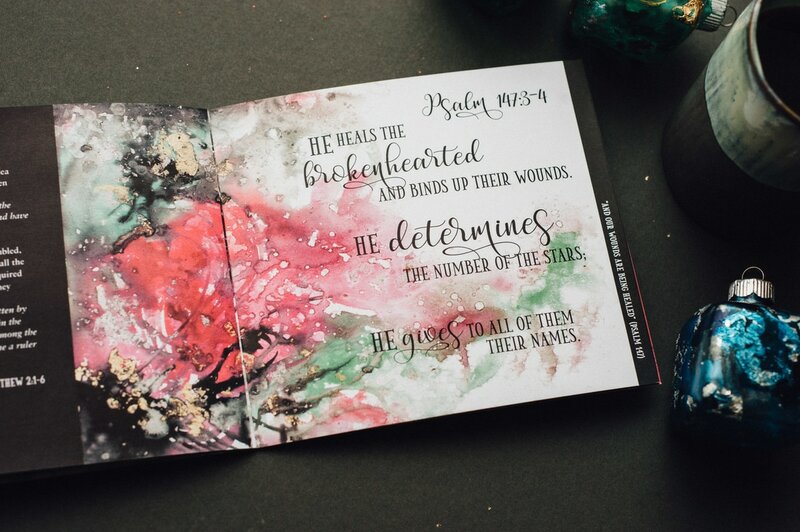 Each year, Christ Community in Kansas City provides their church with a booklet that they've produced with scripture and artwork to encourage and inspire. In 2016 I was invited to be a part of the project, illuminating five Psalms that went along with the readings of the Christmas story. 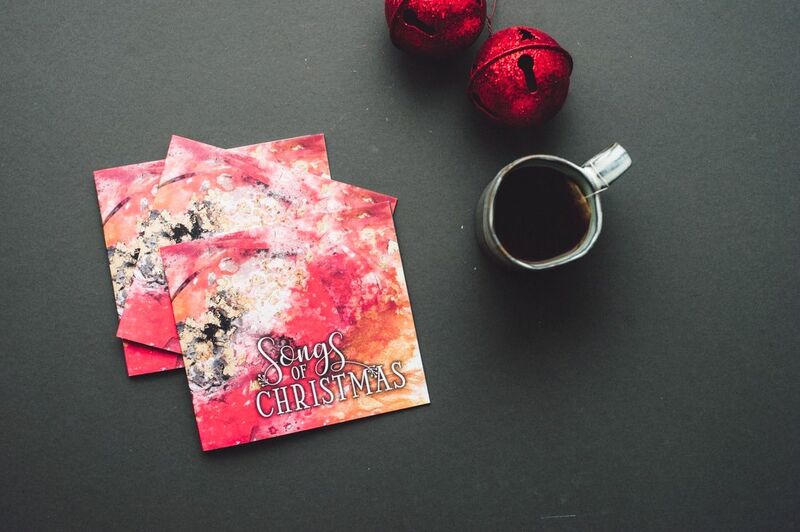 This small body of paintings, which I am calling “And he shall reign” after Revelation 11:15, responds to the Psalms that Christ Community is using for their Christmas eve booklet. I was greatly encouraged by these five Psalms, which point to the powerful, awe-inspiring glory of God. This is a God who is great and who will judge the world not according to our faithfulness, but in his faithfulness. And that, my friends, is why Advent is a prelude to a celebration. Oh, my brothers and sisters, because we are judged by Jesus’ faithfulness, our broken hearts will be healed, justice will roll down, and He shall reign forever and ever! My process started with intense study of the individual Psalms. I read each Psalm multiple times, looking for Hebrew poetic devices and considering my initial observations. After that, I asked a series of deeper questions. If the Psalmist was provided, I asked what their circumstances may have looked like when they wrote this poetry. I asked what surprised me or gave me pause in this Psalm. Then I asked the three big questions I ask of any scripture: what does this Psalm say about the character of God, what does it say about the hearts and experience of mankind, and what does it say about the Gospel (where is Jesus in this)? This series of questions always humbles me, inspires me, and gives me visual impressions and ideas. Though my work is abstract, I always see the shapes and colors at least in part before I begin. There is still a childlike element of exploration once I begin laying color to paper or canvas. During the time it takes me to paint, I find myself turning the questions I asked when I read the scripture over and over in my mind. I wait until it dries, then I add more layers. After that I contemplate the painting, reading the Psalm again. It is a visual devotional practice, a precious gift from God and one I am honored to share with all of you!